I bought an electric guitar and needed an amp, I thought is was kind of silly to buy one since I could use my computer speakers. 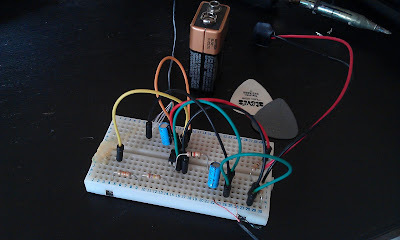 You cannot connect the guitar to the computer amp directly since the signal coming from the guitar is too weak, you need a preamp. I had a bunch of 741 op amps around and decided to build a preamp myself. 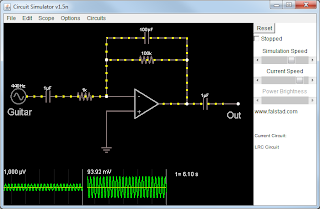 I used a inverter amp configuration (quite a simple one) and it worked great. By cranking up the gain by a lot I get a nice heavymetal distortion. 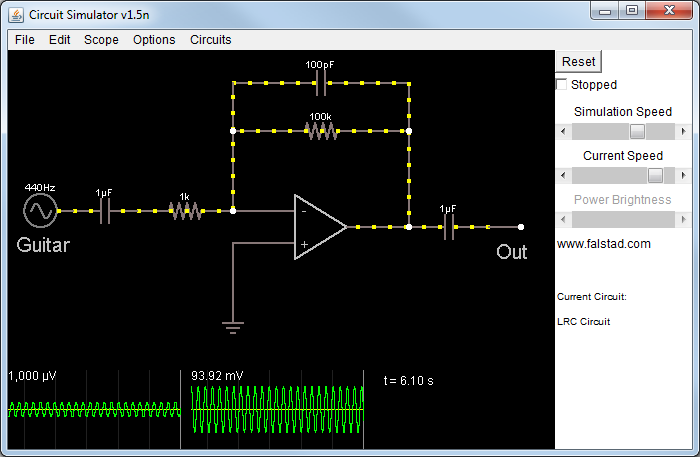 Here is the schematic along with a link to see it running in a free java circuit simulator. At the beginning I thought my guitar was haunted by The Beatles and played on its own, when I hard a kind of a voice I suspected it could be receiving some sort of radio signal..
You don't believe me? Check out this video! The next step was to find a processor that had many free pins to drive the 15 for the address bus and 8 for the data bus, for that then I used and AVR128. If you look at the cartridge 'pins', you'll see a cable soldered to one of them, that is the HALT line of the Z80, controlling this pin I can freeze the Z80, this way the data and addresses buses are free and my AVR can write and read data from my RAM. 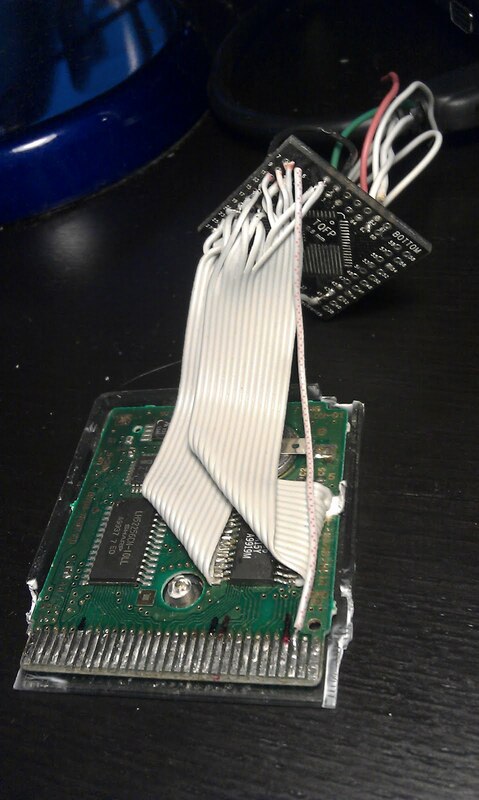 This is how the whole setup looks like once connected, the big chip is the AVR . 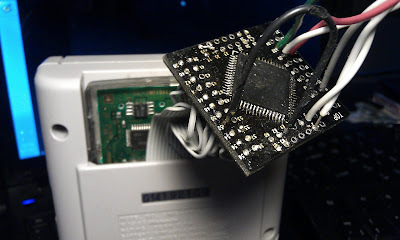 1) Connecting the AVR to my computer through a serial port and use a little loader to upload apps. 2) Write the app I want to upload in the AVR's flash and have it write it to the RAM when the Game Boy is turned on. So, bottomline :-) It worked for small apps < 16Kb but it didn't work for bigger apps, so I think this post will have a second part someday, stay tuned!